Are you considering coming to the UK to work as a general practitioner? Whether you call yourself a family physician, médecin généraliste, huisarts or médico de cabecera, or indeed any name given to a general practitioner, you are very welcome as a GP in the National Health Service (NHS). Moving to a new country is a big commitment that at first can seem overwhelming, but there is a lot of support available. The RCGP has produced a guide for family doctors who have never worked in the UK as a GP, including doctors from the UK who have done their speciality training abroad. It aims to support you to make an informed decision about whether living and working in the UK as a GP is right for you, and to help you understand what is involved. GPs and their teams are at the heart of the NHS and at the centre of our communities. Together they provide over 360 million consultations every year, diagnosing and treating the physical, social and psychological issues that patients are dealing with. 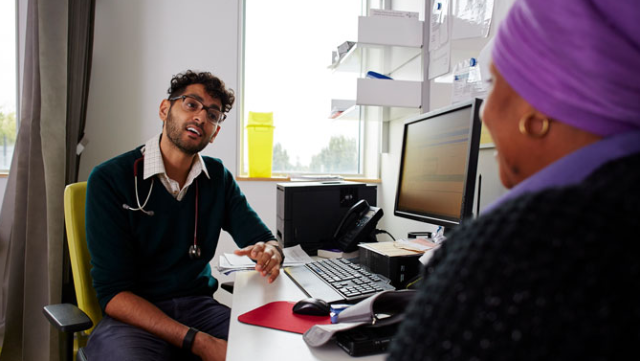 No two practices are the same, so whether you are interested in working as a salaried GP in a large inner-city practice, as a partner in a small rural practice or even as a locum doctor to gain experience in a variety of work settings, there is a role for you as a GP in the NHS. The GP workforce is very diverse – just like our patients. There are thousands of GPs from countries other than the UK working in the NHS. They are especially valued for the new skills and perspectives that they bring to practices.